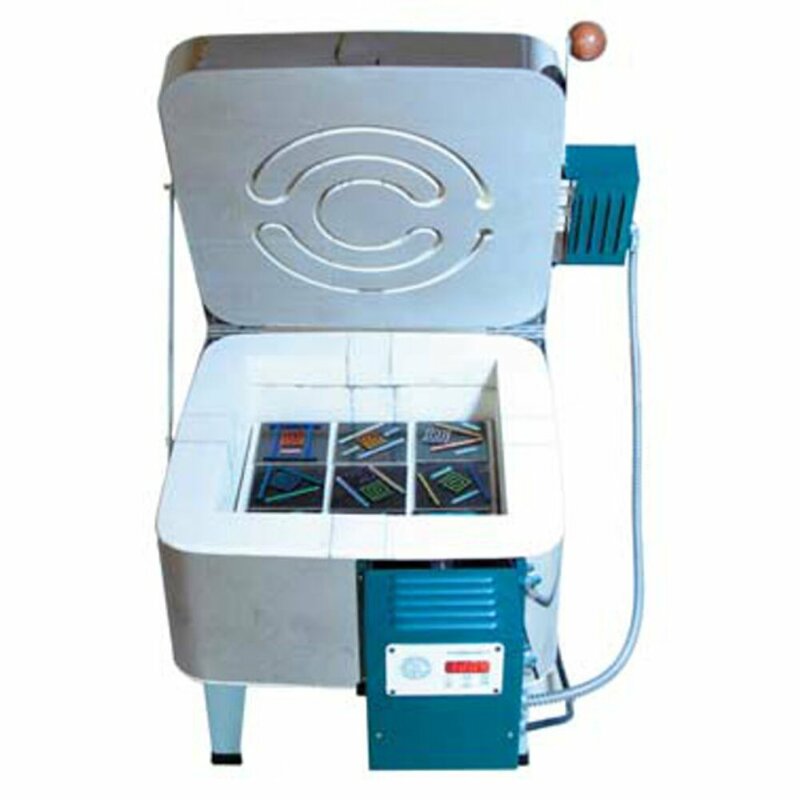 The perfect kiln for fusing glass tiles. The square chamber holds 1 full square foot of 4" x 4" tile. The FireBox 14 is top-fired, so it will heat glass evenly. This kiln operates on standard household voltage, and the compact size makes it the perfect for the fuser on the move. It's three button controller has programming features for the beginner and the advanced artist, and the wooden handle stays cool, making it easy to sneak a peak when the kiln reaches temperature. We recommend purchasing the FireBox 14 shelf with this kiln. Please inquire for details.